American Power Conversion (APC) products protect against the primary causes of data loss: hardware damage and downtime. 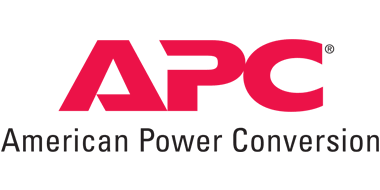 Since 1981, APC’s specialization in end-to-end AC and DC-based back-up power products and services has made them a leading provider of disaster recovery products, suitable for any disaster recovery plan. APC’s comprehensive solutions are designed for corporate environments. They improve the manageability, availability, and performance of sensitive electronic, network, communication, and industrial equipment of all sizes. APC’s InfraStruXure is on-demand architecture. The InfraStruXure design integrates power, cooling, rack, management, security, and services, allowing the selection of standardized, modular components to create a customized solution. This standardization enables an easily scalable architecture designed to meet changing needs and future expansion. APC’s patent-pending approach provides increased availability, improved adaptability, and speed of deployment as well as a lowered total cost of ownership for IT environments – from wiring closets to computer rooms to data centers. Each application warrants customized efforts for individual products and solutions, but all are united by a common theme: high availability is increasingly essential.